How to Become a Top Rated Seller on eBay in 30 Days! Become a Top Rated Seller on eBay in 30 Days! One of the first steps to eBay success that we discuss in my personal coaching program, 60 Day Blueprint, is getting TRS status — that coveted Top Rated Seller status that gets sellers so many benefits you can’t get any other way. It’s no secret that to make your eBay business a success, you have to play by Best Match rules, and TRS status plays huge role in that. If you work in any competitive niche, you absolutely must try to reach and maintain TRS status. Otherwise, your listings will get lost in dozens of search results pages. How many people, do you think, really browse past the first few pages? Not that many I’m afraid. Some might look at the first five. In fact, though, most people will check only listings on page one! So what exactly is the TRS program all about? Let me first explain a bit about the Power Seller program. Basically, TRS status is the next level up from the Power Seller program. Looking at the TRS requirements carefully, you’ll see that it’s basically the Bronze Power Seller level by sales volume PLUS an exceptional customer service history. We’ll get into the exact steps you need to take to achieve these numbers later in the post. Item as described – Create quality listings with unique descriptions written by you. Always state an item’s REAL condition in the listing itself. Don’t try to hide that information! Take your own product pictures — and show several of them. Be honest and upfront about any defects if you’re selling a used item. Make sure to pack items properly so no damage occurs during shipping. Communication – Send out auto e-mails using Selling Manager Pro when a listing sells, when you receive payment and when the item is dispatched. Add tracking number to each sale via PayPal. (PayPal will send an email to the buyer with tracking information.) Reply to all customer emails within 24 hours during the business week or sooner if possible. (To keep up, check your messages and reply to them three times a day — in the morning, in the afternoon and in the evening. If there are any problems, do whatever it takes to please your customer. Dispatch Time – Obviously, you should aim to dispatch orders the same day or the next day at the latest. (When you add tracking information to PayPal, the customer will be informed that you have dispatched the item.) Since people often think that the dispatch time rating is related to shipping fees and time, always try to use first class if it’s cost effective. For larger items, use courier, of course. P&P charges – This is usually the biggest problem. People are so used to free shipping now that if you can, you should offer free shipping. When you do this, you automatically receive 5 stars for P&P charges. And not only that, your listings get that brand new, shiny Fast ‘N Free badge and higher positions in search results — but more on that later. This is all pretty much common sense. Put simply, do whatever it takes to please your eBay customers by offering top notch customer service. If you do, your DSR shouldn’t fall below the 4.90 average. This means you simply must play by the rules! Don’t sell fakes, prohibited items or get in trouble in any way. And if a disgruntled customers opens a case against you anyway, resolve it by doing whatever it takes to satisfy them — a refund, an apology or whatever. So far, we’ve been talking about becoming a Bronze Power Seller. But what advantages does this status gives you? So not that much, really. The power seller programme is really a bit useless without that magic TRS status. Discount on Final Value Fees from 10 percent to 20 percent based on your Power Seller level. As you can see, having TRS status really helps your eBay business. Especially important is the TRS role in the Best Match algorithm. In competitive niches it’s almost impossible to get on the first page of search results without having TRS status. So what are the requirements to become a TRS? No, it’s not easy, but it’s doable — obviously, since there are thousands of Top Rated Sellers on eBay. The biggest obstacle is the DSR, of course, because you can only have one low (1 or 2 star) DSR score per 200 transactions. This means that if you get two low ratings per 200 transactions, you loose your TRS status. Luckily, there’s a flaw in eBay’s system that you can take advantage of to get your TRS status quickly and easily. While eBay requires £1000 in sales and 100 transactions in the last 12 months, it doesn’t require any particular average sale value. This means you can get 99 transactions for a quid each and then one sale for £901. That totals 100 transactions and £1000 in sales, so you get your TRS status. Use this to your advantage and start working on getting sales! Begin by checking your sellers dashboard to see where you stand now, noting how much in sales and how many transactions you’re short of to become a TRS. 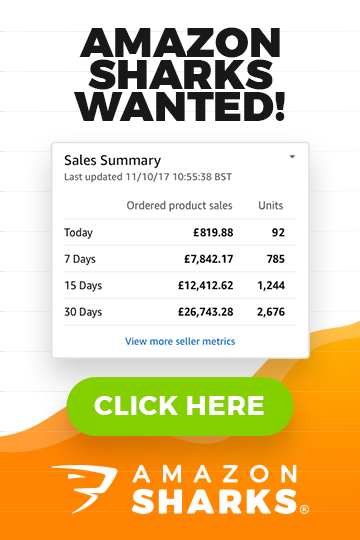 How many more pounds in sales do you need to reach £1000? How many more transactions do you need to reach 100? Then get moving. Remember, this data is taken from last 12 months on a rolling basis. So it’s always a good idea to get some extra sales in to cover any numbers you’ll be losing after a month or two — depending on how fast you’ll work on this. Start with unwanted items from your home. They can be anything — books, toys, electronics, mobile phones and so on. Just list everything you can part with as auctions with low starting bids. You may have no idea on how many items you have sitting around that you can sell and not miss. So why not use your junk to reach TRS status AND make some extra money too? Next, you have to decide on whether you’ll be making 100 small sales and one bigger one OR average it out and selling about 100 items for an average sale price of 10 quid. If, say, you have a car you want to sell, do that. Then sell 100 very cheap items and one or two more expensive ones. Buy used media off eBay and Amazon and resell it on eBay. Books, DVDs, video games (perfect), Blu Ray discs and audio CDs are all items that can easily be sold on eBay for the same price you purchased them for. Video games are very good sellers. If you list a used, popular video game on eBay with a starting price of £0.99, you’ll get enough bids to raise the price and sell it for the same price you paid for it or perhaps even more. When you buy these items, obviously try to find the cheapest deals possible. One way to do that is to buy bundles and resell items individually. Buy sale items from eBay, Amazon and other online retailers and sell them on eBay. The key to success with this strategy is to buy a bit BELOW average selling price on eBay so it’s easy to sell an item back for the same price or an even higher one. 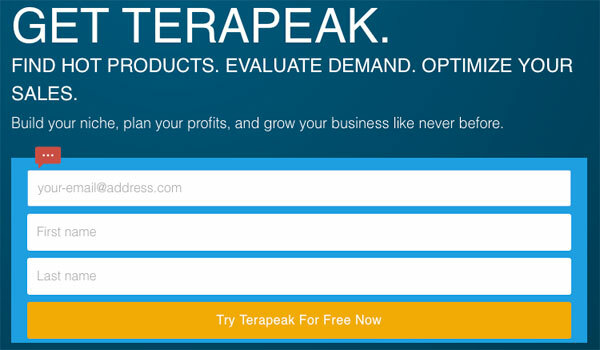 Use Terapeak to research the average price an item is selling for. Only items with HIGH sell-through rates (50 to 60 percent or higher) are suitable for this strategy. Buy sale items from offline shops, Poundland, market stalls, charity shops and similar places known to offer good prices. You may not believe it, but PoundLand alone can be used perfectly! One of my recent 60DBP clients purchased stock from PoundLand and sold it on eBay to get his TRS status — and he even made a profit doing it! Concentrate on small items to get 100 sales and then on a few higher-priced goods to reach £2000 in sales. If you hit 100 transactions but are short of volume — say, £500 pounds — simply purchase some hot, more expensive electronics from Amazon or eBay. Consider things like video game consoles, mobile phones and tablets. You’ll only need a few of them to reach your £1000 target. Remember, during this phase, your focus should NOT be on making money! It’s all about getting those 100 transactions and £1k in sales to qualify for TRS status! Once you’re a TRS, you can start selling whatever you want, making money at your fullest potential because those items will be featured high in the search results — thanks to this foundation work. Remember, it’s not only about sales numbers and volume though. Customer service is KEY! Follow my advice on keeping DSR high and provide exceptional customer support, then you’ll do fine. eBay evaluates sellers for TRS status every month on the 20th, taking into account last month’s data. For example, to qualify as a TRS on 20th December, you have to reach 100 transactions and £1000 in sales by the end of November. If you’re active and don’t waste much time, it’s very possible to become a TRS in one month — or less than 30 days, actually. I have seen this happen several times with my 60DBP students so I’m sure you can do the same. Lastly, eBay doesn’t give you TRS for LIFE! Each month, your account is evaluated again, so you must keep providing exceptional customer support and maintain your record of 100 transactions and £1000 in sales in the last 12 months ALL THE TIME! Even if you lose TRS one month, you can again qualify for it the next month — if you meet all the requirements. That means that even if you slip up and lose what you’ve worked so hard to gain, the increased prestige, buyer confidence and ranking boost that comes with Top Rated Seller status could be just days away. Hi Andrew, thank you for very valuable teaching here! Much appreciated! I’ve started up a few months ago and now have got 1k sales and 100 items sold, and 100% feedback (over 100). Am thinking of upgrading to business account. Thinking if I upgrade before 20th of the month, e.g. 10th of Sept, will I get TRS from 20th of the same month as you say eBay valuate on the 20th? If I upgrade after 20th of Sept e.g., I won’t get TRS until after 20th Oct isn’t it? IF you made those sales in period ending on 31st August, and now upgrade to Business account, you’ll get TRS on 20th September. Great website you have here. It’s really helpful. I got my TRS status last week. I was hoping I would see a huge increase in Best Match almost immediately but I seem to be in exactly the same place. eBay advisor said it may take 2/3 weeks for eBay algorithms to recognise the TRS status and then reposition me. Is this correct? How long should it take to accurately place me in Best Match ? It takes few weeks time to see effect on your listing rankings. Not really, not that I’m aware of. Andrew, you are the guy! My ebay knowledge is very broad and i must say most of the greatest ebay blogs are yours. I find them very easy to understand and very inspiring. Read most of the comments here and can’t find my answer. Easy example…If I am selling 8 different colored boxes on separate listings for each colored box (so not bulk) and the same buyer buys one red box from one listing and one green box from another listing, is this considered 2 transactions. I was told because it is the same buyer I will only get credit for one of the transactions to count towards the 100 needed. As far as I know, only purchases from ONE listing count as one transaction. If they’re from different listings, they should be counted as separate transactions. But you may want to double check this with eBay to be 100% sure. I was on the phone with ebay today and wanted them to confirm my power seller and Top rated seller status as i am confidnt in the next evaluation i should be granted this. I was then told by them that yes i do meet all the requirements for a powerseller status and top rated seller status BUT i need to maintain 3 months above standard. As mentioned to you in my first post, i only started selling as of 5th May 2016 (Business Account) however i have been an ebay member since April 2004. In your response you did say that i shouldn’t have any problems with the 90 days period cos my account has been long standing. 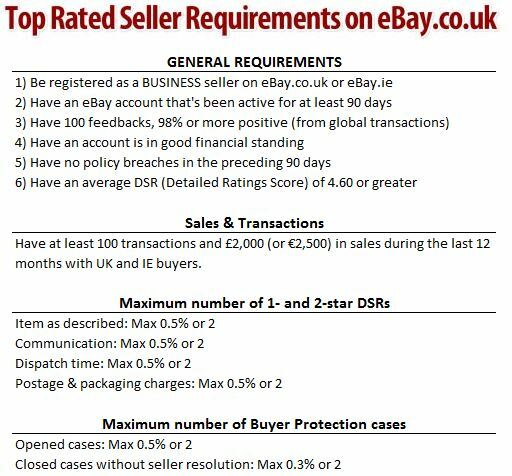 I do meet all the requirements as per above and how can ebay customer service say something different to what is on their website. Andrew can i challenge them as to why they say something on their website and why they are saying something different to me over the phone. is this possible? I already have asked them to double check and let me know and i just thought id ask you as well. Often times eBay support on the phone are wrong so in your situation, I wouldn’t worry about this and simply wait till 20th June to see if you qualify or not. And then, if you don’t qualify, then you can call them again and try to resolve this over the phone. You should actually see the this already in your seller Dashboard – it should mention what happens to your account on next evaluation date (20th June) so check it out. In your last response to me you said that it is only 100 transactions and not 100 positive seller feedback, how is it that Ebay is saying a different story, i hope the person who advised me got it wrong cos she was insisting that she was right when i tried correcting her on this stating that it doesn’t say SELLER FEEDBACK. She then went on saying these are the requirements for a power seller hence it is 100 seller feedback is also required. below are a list of what is expected i was told for a power seller. Andrew, can you please tell me if this is true ? if it is then i only have 40 seller feedback even though i have 145 100% positive feedback as a buyer and seller. I didn’t realise you’re referring to PS on eBay Australia. from reading that page, it seems that you have slightly different rules over there. BUT still – on TRS it says only 100 sales, no mention on feedback and I know for sure that you don’t need 100 feedbacks (just sales) to become a TRS on eBay Australia. TRS is far more important than PS. Hi Andrew. Does the 100 feedback score have to be achieved from ‘buyers’ or can we buy a load of cheap items and have our feedback bumped up from purchases we make? It’s NOT about 100 feedbacks but 100 transactions/sales instead. So feedback count is irrelevant. So you need to get 100 sales as a seller of course to qualify for TRS. I have been an ebay member since April 2004 but only have been selling since May 2016. I currently have 125 positive feedback and a score of 100% positive. In less than 2 weeks i have made 100 sales or 100 items sold and total amount of sales are currently sitting at $650 AUD. My question to you is Andrew, do i have to be a seller for more than 90 days or does my account being active and open from 2004 count? Also are they after 100 transactions or 100 positive seller feedback? In which case i have both. In your opinion am i eligible to be a powerseller Andrew? And my last question do i have to maintain all the mentioned above on a monthly basis if not do i lose the powerseller status. Yes, your account is old enough, so 90 day rule is not really problem for you. You need just 100 transactions, feedback count is irrelevant. So you should qualify for Power Seller & Top rated Seller on 20th June. (make sure you upgrade your account to Business if you haven’t done it already). To maintain your status, you need to maintain 100 sales worth $1k over a 12 month rolling period. So not monthly, but yearly period. Andrew why did you say 20th of June ,may i ask? Any specific reason to this or calculation? And yes my account is a business account. Can I say thank you for all of this incredibly helpful information. You must be a business seller to get TRS. What is your thoughts on buying ebay accounts with the powerseller award already on account and lots of positive feedback? I already have a ebay business account with 100% and sold on 10 items worth £750 so need £250 in sales and 90 products to sell. Should i keep working with account this is what i would like to do i just find it hard to make money as there is powersellers getting the discounts so can offer a cheaper price. Selling standalone eBay accounts is against eBay rules, so I wouldn’t recommend doing it. I found just the information I needed to know at the right time. Thank you so much for all these golden information. All of the things you have said are great, I will apply every single one of them, I hope, I will remember all. Will a TRS with 500 feedback have listings placed higher in Best Match compared to a TRS with 100 feedback? Also which setting has a greater negative impact on your search position on a Good Til Cancelled listing? Going out of stock for a week or setting holiday setting for a week? Is it just ONE variations for the GTC listing that goes out of stock? The item has only one variation in the GTC listing. I would then choose Holiday option instead. It shouldn’t. At least from the public information eBay publishes. Feedback count has never been “connected” to Best Match algorithm. Thanks for your time. Great course by the way, everything going like you said it would. Worth three times the amount… or more! You won’t lose your 60 sales next month. TRS requirements take into account last 12 months period, on a rolling basis. So yes, next month your dashboard will say 01 Nov 2014 – 31 Oct 2015. Hope you’re doing well. Thanks for the great article. I just wanted to ask that I’ve been using your formula to sell small cheap items and stuff is picking up. Any idea what this is all about Andrew? Thanks in advance! It takes some time to update, don’t worry about it. Remember, TRS is NOT about 100 feedbacks or DSRs – it’s all about 100 sales/transactions you make. So it doesn’t matter how many people leave you feedback or DSRs. i have a couple of questions regarding selling on eBay. but is there a general percentage that one should follow. For example does it make sense to spend £400 to just make £50 profit after all is said and done which could take months? 2) To run a full time eBay, is there a general amount of products you should aim to have in your inventory, for example 50 products 100 products + or under 20 products (i do understand that it depends on many things like the price of products, and each individual person will be different) but i just want to know how many unique products one should aim to have on there inventory list. Thanks again Andrew, have a bless day! 1) £500 NET profit on sales worth £400 would be considered good, for eBay. It depends on many factors of course – for example – how many orders made up those £400? If it’s say 10 orders, that’s a very good margin but if it’s 400 orders – it’s far from good…. In general, I recommend going for products with at least 20% ROI+, with smaller/cheaper items (like selling for £2), it should be at least 50 % ROI. 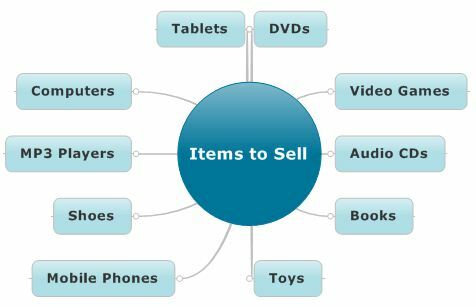 2) The more items you have for sale, the better BUT even with just few listings you can actually run a full time business. That is if those few products are in high demand and you get your listings rank high in search. There are individual listings that make £10k+ in sales each month so…. Fantastic article, and site. Sincerely it is refreshing to see so much real information. – You need an average DSR rating of 4.60 to gain TRS status. Is there a minimum number of DSR’s required to gain TRS, or can you have 1 with a 4.60 rating? 2) No, you don’t have to. eBay does not ask for any business verification when you simply upgrade from personal to business account. Thanks for the advice Andrew. Wonderful article & inspiring blog. I must admit that ever since i reading your blog we are improving the quality of listing & becoming better. My question is in your opinion should I keep on trying to improve the DSR by fast n cheap selling and providing tracking and active communication with customers? … Will I be able to still get this account back in atleast above standard then move to TRS ? … All this considering its a new account with only 95 sales now with 8 defects… which means i would need to make 200 sales with 8-9 defects rate to get a DSR of 4 – 4.5%. 2nd Question where was I wrong in the above scenario? … I cannot find my fault maybe you can shed light. Another question maybe out of the topic for now but its a necessary for any business seller..
Whats the best way to do accounting of your Ebay Sales? excel is always first choice but time consuming. How can a seller get a picture in a month or week to see if he is making profits & how much and which product or links making him more sales. Big data makes big difference to pinpoint and increase sales. Lastly one of our main account is Power Seller since 1 year … couldn’t cross the 2% barrier especially if no of orders are 35 average a day (not high profit using your price increase technique slowly 😉 ) . I only use 99% as GTC and 1% as auction for one or two types of products. The question is should I switch to 5-7 days Fixed listing ? as you said it gives more exposure being new links. Auction links for many products were not helpful as i tested in past and tried for a month to see loss in the end, so only selling 1% of sure sell products with minor to comfortable profit in auction. Thanks for your time especially reading my message lol …. Me too spent last 4 hours reading couple of your blog posts and commenting till the end … its addictive … valuable … inspiring… informative … Great work Sir. Unfortunately these are too big/wide issues that I can’t give you proper advice by replying in few sentences. Wow … I didn’t saw that coming… so any solution? If I get to TRS status in 1 niche, will that then give me top rankings for other niches that I then want to list in? Obviously where the niche is not over subscribed. If you use same account, of course YES! TRS is account wide status, and not tied to any specific products you sell. If on the other hand you start a brand new account, then you would have to earn TRS for that account specifically. Thanks for the quick reply, do I need a shop to become a TRS? My aim is to get TRS in 1 niche and then start looking for more and more low competition niches to expand into, I just wondered is it easier having a shop or is it just more cost effective if I have more than say 20 different niches? No, you don’t have to have a shop to become a TRS. Maybe a bit of clarity is needed, when I say niches what I mean to say is items I have done a lot of research on and have decent ROI, basically what I want in the future is a business where I sell a lot of different items on a daily basis, 20 items is my short term goal. Also about postage labels, I have seen postage labels, is there a way that I can print out all postage labels from 1 days of sales at once without having to sit in front of the computer and click on each sale and print postage label? 20 items under one account/shop is fine of course. As for postage labels – you can do this in bulk by using 3rd party appliactions/software like Linnworks. Hi Andrew. 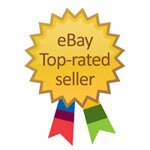 I have been informed by eBay that I will be given a top rated seller badge next month on 20th April. I wanted to know if being a top rated seller really increases sales. Obviously the price has to be right but I am in a very competitive field. These sellers have sold thousands of items and sell hundreds per day. I can’t see how eBay will be helping me? I have just started a few months ago however the thought of being up against the top rated sellers puts me off eBay. As ebay will obviously help them a lot more than help me. I’m currently selling a couple of items per day. My prices are currently lower than the top rated sellers and I am breaking even on my items in order to achieve the top rated badge. I am hoping to increase my prices and match them with the top sellers from 20th April. Finally, I am wanting to sell in different countries as well as UK. I have seen that eBay has a programme called web interpret. Do I go onto each countries eBay like eBay France for example, and write the listing in French? I have clicked the option to ship internationally on my current listings however I am not getting any traffic from other countries. I thought if I interpret my listing for the country I want to sell in then my listings will come higher in their search? Apologies for the long message. I look forward to your response. As for selling on regional eBay sites – you can of course translate your listings in other languages but then you can run into problem that customers think you can provide support in that language too? And maybe they will think that you’re locally based and will expect next day delivery? What if I sell something for 0.1 cents and have my friends with ebay accounts buy them up? Is there a limit to how many each friend could buy? Obviously I don’t want them to get in trouble. 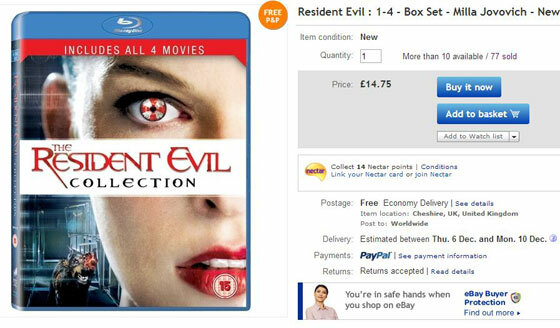 That is totally against eBay rules and you’ll get banned for doing this. And your friend too. So just don’t do this. Hi Andrew, i have been contacting ebay recently regarding the TRS status however I am being told different things everytime i speak to them. I am told i have to have 100 transactions which i was lacking. I have an approx 110 positive feedback at 100%. I have 0 negatives and 0 neutrals. Most of the Buyers have not left any feedback what so ever as you could imagine. Now the issue that i am having is basically, i have sold over 100 items, some buyers have purchased more than 10 items from me however they have bought them at different times, so they would purchase 10 items in a space of a month. On my seller dashboard it states 72 items have been sold however this has not been updated for quite a while. I have sold a lot more than 72 items. Some of the ebay customer advisors says that if the item is purchased by one buyer then it counts as a single transaction no matter how many items are purchased, even if they are paid in singles, meaning not via shopping basket. Then some ebay customer advisors are telling me that ebay needs to be updated and that figure needs to be corrected if a single buyer clicks buy now on 10 items, this then counts as 10 transactions. Please confirm if what they are saying is true andrew as i am being told different things everytime i speak to them. I have sold over 100 items since the start of this year which is when i first began selling. My Seller Dashboard is being updated every 24-48 hours in terms of how many active listings i have and also my ‘total transactions’. My Total transactions is also above 100 however under ‘Performance to Date’ i only have 72 transactions. Could you please confirm which one of the ebay advisors would be correct as i was hoping to become a TRS this month on the 20th as i have ticked all other boxes which are required to become a TRS. Thanks! As far as I know, if those items are individual purchases over period of time, each purchase should be counted as transaction so not sure why your figures are inaccurate. Yes, when a customer purchase multiples of same item or multiple items from you in one purchase, that is one transaction but in your case they should be counted as separate transactions. You should get on the phone with eBay and ask them to sort this out for you. Your Questions Answered: BEST of 1-20! Actually, it takes 60 DAYS. I just went through selling 133 items in 60 days with a sales over $7000 and had my review on the 20th with all great sales figures that should have made me a Silver Power Seller and a Top Rated Seller. BUT, ebay shows that both of those are only PROJECTED for my NEXT MONTH, Not because I caught the carrot this month! So basically, they are costing me the 20% discounted Final Value Fees this next month and the Top Rated Seller + Status, Increased search visibility, increased sales exposure for this month that I just earned it. Kind of fraudulent, isn’t it? I feel a bit like I have just been suckered because I jumped through all of their hoops, and they are depriving me of over $100 worth of ebay final value fee reductions. It could be that your account is less than 90 days old? Or it was not a business account? Or there were performance/defect issues? There are many more factors to get a TRS badge than just sales volume. In general, on evaluation day (around 20th each month) they take into account data for period ending with last day of last month, not till evaluation day. Maybe this caused your miscalculation? No, you are wrong on all accounts. I had 0 defects, 0 returns, and over 40 + feedbacks for my 130 items. My account is over 5 years old. I have over 450 feedbacks, just sold over 130 items in 3 months, have a 5.0 on all seller ratings with over $7000 in sales for the 130 items WELL BEFORE the Feb 20th evaluation. Ebay now claims that there is a 30 day delay in awarding benefits that I have earned! 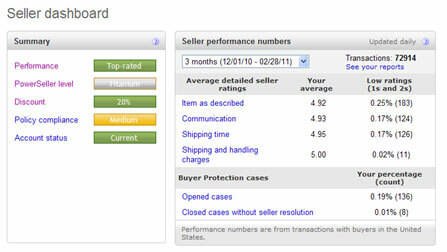 Instead, the seller dashboard says that I am PROJECTED to be a Powerseller and a Top Rated Seller on March 20th, 2015, but shows all of my statistics for the Feb 20th, 2015 data. They are cheating me out of increased search exposure, the 20% final value fee discounts (which based on this last months sales of $5000 would be over $100 – not small change). In fact, I could end ALL of my listings for the next 30 days and STILL qualify next month as both a Powerseller and a Top Rated Seller! Ebay found a new carrot to pull away from sellers who have earned discounts from their performance, but won’t actually get the discounts that they have earned. On top of that, I posted all of the above stats with ebay hiding many of my listings. If I search for my listings while I am logged in, they show up, but if I search from a friends computer – they can’t be found. I’m just saying, NOT FAIR, and you are wrong – it takes AT LEAST 60 DAYS because ebay just moved the goal post again! My mistake. Based on my performance in the past month, about $5000 and over 100 items, I would not have to sell anything for the next 11 months and still be considered both a Powerseller and a Top Rated Seller. Except that Ebay refuses to award me either until a MONTH after I have earned both. I will repeat myself – eBay does not take into account data for the month evaluation happens. For example, on 20th February they only took into account data for period ending on 31st January. It has been this way since introduction of TRS, there’s no cheating going on. No, you don’t need 100 feedbacks to become a power seller – only 100 transactions, to UK & IRL buyers. So if you sell only in UK, it’s fine and you just need to get 100 transactions worth £1k over a 12 month period & maintain that. I started selling on ebay in September and have now become top rated seller with the help from your blogs. Now i want to upgrade my listings to look more professional as when i look to the listings from other big sellers mine looks very basic. I dont have much technical knowledge. Can you please advise me where to get some technical help for creating professional looking listing without paying large amount of money. I’m going to manage online sells for different offline shops in my little city. What do you think? Come in your mind some other PROS and CONS? I think that FIRST option is only viable option in such business model. Because with one shop for all you won’t be able to provide much needed branding for each business, cross-selling and the marketing activities PLUS as you say – if someone messes up, it would affect other business in that account too. So I think each business should have their own eBay account, own shop. Hi, I bought a basic ebay shop 4 months ago, first three months went very well, I offered best price and my sales were really good, but three weeks ago my all listings from first page went to last and my sales went down, basically I do not get any sales. I checked my ebay seller status and it’s below average although I have more than 300 positive feedbacks, but I had quite a lot return cases and my account was restricted once for three days as I used word STYLE with brand name. I wonder if I close my ebay shop subscription and reopen after a month or two, will my ebay seller rating and listing ranking will stay the same or it will start as a new? No, eBay shop is not directly linked to your account status. If you’re below standard now, I would recommend you simply open a new eBay account and start from scratch as it will be very difficult to get current account back in good shape. It’s just a shame to create a new account as I have 315 positive feedbacks and more than half of them are for what I sold. It will be hard to get trust from buyers with new account. I have Power Seller icon now, but my performance is below standard. My biggest concern is that my all listings from first two pages dropped down to last two, so people can’t see me anymore. And I wonder if that would change if I close ebay shop subscription for month or two and when I reopen? will my listing be fresh and new and back to top? Or is it still better to create new account you think? What do I need? New email? New Paypal? As I said, by closing and re-opening shop, you won’t achieve anything. eBay has punished you for performance mistakes and won’t give your listings boost in search because of that. You need new email address to open new eBay account. You can still use same PayPal account for it (just add that new email in PayPal too). Thanks for the great info, really valuable. Just wondering… is it possible to become TRS without having a shop and being able to create GTC listings?Financially it’s just not adding up at the moment. I pay less fees by being a business seller without a shop. Yes, of course. You don’t need a shop subscription to become a TRS or to maintain TRS status. Thanks for all the advice, they are all great. I am planing to sell on ebay, I just bought some high street sport clothes on sale and I believe I can make some money. My question is I have a company (doing selling some tours/products ), can i use this company and open a business account on ebay? For example lets say I bought Nike products , can I sell these on ebay using the my company? If I make money does it mean I have to pay taxes on the behalf of the company? I just found out I can only sell 3 products from the same brand each month? is that true. Yes, you can open eBay business account with that company details. And yes, you’ll have to pay taxes within your companies accounts (you’ll also want to purchase goods with same company details). As for 3 product limit – yes, some brands are protected on eBay and you can only sell limited number of items (personal stuff basically) as eBay is trying to filter out all the fakes selling in branded clothing market. Been working towards my TRS and thought I had it but got 1 negative feedback that has buggered me up. Don’t do high volume stuff so total sales are only just over 100. So is it possible/ethical to list 100 items at say 5p then buy them with another ebay account thus doube my total sales to negate the one negative feedback I received? You can still get a TRS status with 1 negative feedback if all other targets are achieved, DSRs and defect rate is under limits. As for listing and buying 100 items – DON’T DO IT!!! I’m not talking about ethics here – it’s against eBay rules! And they will ban you for life if you do something like this. So just don’t do it. Thank you so much for your quick reply and excellent advice. Do you think I should start fresh listings with new pictures, or use old listings and just change starting price to 99p and offer free P&P. If your listings/pictures look all good, then you don’t have to change them, no. ebay is a blood sucker. their new program or whatever it is, makes it possible for people to open “ghost” accounts, meaning they supposedly have a store but there is ZERO items for sale. However, they do have several “collection” boxes on their front page saying here’s my collections. If you clik on any of those collections, each item has a diferent store listed. In additon, these “collection” items from different stores are now being advertised inside my store. How in the world could that be right? I have collection of my own, from my own store, but within my collection, under each item, they inserted “other seller’s” collections. This is like an invasion of evil. I am top rated seller and have done everything by the book, yet these sellers get away with cheating, and using my and other people’s stores to advertise their product. ebay has many ways to search for products through their own search, so why put another ad in MY store for which I pay for. Please answer me that because nobody on ebay will give me an answer. You know that buyers can also have collections, right? So “empty” accounts you’re describing are most likely buyers. Collections were created to help buyers find related items with ease, it’s really not that much about sellers. eBay does what they think will improve buyer’s buying experience and collections probably does this. On eBay buyer is the priority #1 so eBay don’t care that much about traffic you loose from your listings due to clicks on Collections. I have been reading all your advice with great interest. I have tried everything to get more hits on ebay. I sell new ladies dresses, lots of them being ‘one offs’. I have been selling via auction and starting the auctions at 99p to create interest and establish a reputation. I have about 85-90% sell through but when I go into my sales report I see that my average selling price if 9.00 which makes my profit about 20-50p per item. I am not sure whether to continue with this approach or put all the dresses on at the price I would hope to sell at as “buy it now”. This may mean that I sell less but make a better margin, but will lose my 90% sell through. As my dresses are something one offs of I have 5 to 10 and sometimes possibly 20 of some dresses which is the best way to sell them to build up sales. I am also due TRS status on 20th June and think I should hold back til them and them put everything on. I would recommend you keep doing what you do until you get TRS status. From that point, start listing everything as Buy it Now listings (30 day) for a fixed price you can make your desired profit. If an item doesn’t sell in 30 days, re-list it. If it doesn’t sell then – list it as an 99p auction to get rid of it. Rinse & repeat for all items. I have go myself into a bit of a mess with my auction listings. I sell new ladies dresses. I have been watching some compeitors in a similiar position to me buying from the same wholesalers and auctioning in the similar way. The person that I watch starts 30 auctions a day at 99p lists approx 140 items a week. Checking on terapeak she is making a brilliant overall profit per item which is the way I would like to go.!…. In order to get “premium seller badge” shown on listings you must offer free postage, which made me reluctant to offer both free postage and start at 99p so I mixed the auctions, a few like this, some with a starting price that I would be ok selling at poss £9.99 to break even and offer free postage and half the listings as “buy it now”. Shall I start again and list everything at 99p and charge postage and start with a loss and build up. Some of the dresses are one offs so it is also difficult to build up, or does ebay statistics pick up 100% success sell through? I am in a mess!. I think you should still do 0.99 auctions and offer free shipping as FREE P&P plays a very important role in best match algorithm. Plus of course you get Premium Service badge which even further helps your listings in search. Just do a test of say 20 auctions and see how it goes. If you say that your competitor, selling exact same styles makes nice profit by doing so, you should be able too, right? brilliant article, I just have one question and hopefully you’ll have the answer. Do you have to register as a business before you sell 100 items and £1000 worth of stuff, or can you register half way through or even after you’ve met those targets and still be a TRS? You can upgrade to Business Account in the middle of this process, that’s perfectly fine. What matters is that your account IS business account on the evaluation day. Great Article. Can I ask, if the max low DSR ratings for TRS status is on a pcm basis? If you have 400 or more transactions over the past 3 months, these scores are calculated over the last 3 calendar months. For all other sellers, the scores are calculated over the last 12 calendar months. Thanks for the quick reply. Finally can I ask if the 400 is regardless of value (i.e. are 400 99p sales ok to meet the 400 or do the 400 still need to total £1000 in 3 months too)? no, it’s not about being a TRS or not (for that you still need 1k and 100 sales over last 12 months). This is just for DSR/case rules etc. It doesn’t matter what value each sale is, it’s just about number of transactions. The Ultimate Guide to Shipping for eBay Sellers! Could I clarify a few things? But what i am unsure about is, do I need to have an ebay shop to become a powerseller? I have just opened my new business account, lets say for argument that I achieved the minimum value and number of sales in one month, would the TSR rating be awarded exactly after 90 days? No, you don’t need an eBay shop to become a TRS. Shops don’t play any role in this whatsoever. Yes, if you just opened your account now, it will be at least 90 days+ now for you to achieve TRS status. Evaluation day is around 20th date each month and on that day data for previous month is taken into account. I just needed to clarify that and after doing lots of searching couldn’t find a definitive answer. 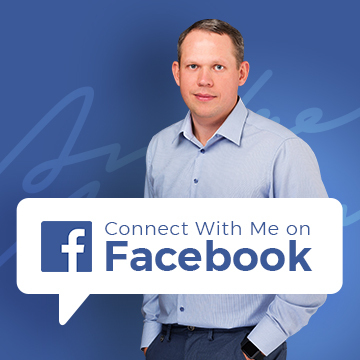 Just thought I’d take the opportunity to say thank you for what you are doing, I’m signed up to your EAB and Ecommerce magnates courses and I have got to say that they are the best courses currently on the internet! Very clear, in depth and easy to understand, they’ve really helped me and I’m just about to start trading, I couldn’t have done it without your help. I would just like to know, I have an eBay account that i used about 5 months but stopped using it. I would like to start selling on that ebay account again, I was told in order for me to become top rated seller I need to have an account that is registered as a seller account for 90 days. I thought it was an active account for 90 days??? Could you kindly shed some light on this for me please. It doesn’t need to be an active account, no., You just need an account that has been registered at least 90 days before the TRS evaluation. So your current account will be perfectly fine. Thank you very much for your advise, I have been reading your posts for about 3 weeks now, so i followed exactly what you told me and managed to get 89 transactions within 8 DAYS! Again Thank you Andrew, wish you all the best. Sorry if this has already been covered but when I look at the ebay website regardind TRS it states that only £1000 (not £2000) in sales is required along with 100 product sales. Yes, after the last eBay update, you now need only £1000 (and not £2000) over last 12 months in sales and 100 transactions to qualify for TRS status. This post was made before the update. Do you have to maintain £1000 and 100 sales every month to kepp TRS? These are for rolling 12 month period. So you always have to look @ past 12 months and to be a TRS you have to have 100+ transactions and £1000 in sales. You could for example achieve this in ONE month and do no more sales and still be a TRS for next 11 months. Do you want to re-sell other people stuff on eBay? Hello andrew. You’ve got some great advice here about eBay. My question is, according to my seller dashboard, in the last 12 months I’ve almost tripled the amount necessary to become a TRS. Not to mention i’ve ticked all the boxes for what’s needed such as dsr’s etc. Today is the last day in that 12 month period, so, will my status change by tomorrow? Or on my next evaluation which will be on the 20th November? You should be upgraded next month, on 20th November. eBay takes into account data for up to end of previous month, hence there is this 20 day delay. Once again a very useful post, thanks. However I have couple of questions for you, hope you wouldn’t mind me asking. As you have mentioned at the top of the article that not many people would look beyond the first page on eBay which is true as i don’t. But then how would you compete with the TRS as they seem to overtake and there is so much competition for example: I bought some game CD’s for PCs from the stock-shifter (pack of 50) and i can afford to sell them as low as £1.50 free shipping and not loose any money (probably not make much either) but how would my listing come on the first page or be visible to the buyers whereas the same games are sold for £3.50- £5.00. I would be grateful if you could shine some light on this and direct me into the right direction. If you’re NOT a TRS yet, the only real/quick way to do this is simply to list your items via short, 5-7 day auctions with a starting price of same £0.99 or £1.49 (so that first bid gives you the target selling price). Because eBay gives a boost for newly listed auctions as well as on last few hours/minutes before they end, in search results. This means that your listings will appear on first page, even first few results before they end, hence you get increased exposure and chance of making a quick sale. I totally agree. In long term nothing beats your own shop. Most of my business these days come from my own websites so I totally understand where are you coming from. So would you suggest to have your own site as well as ebay to build a proper business? I’ve been reading about Matt and Amanda clarkson. They are as well as yourself very inspiring. Yes, absolutely! In long term you want to have an eBay shop, your own shop and depending on what you sell – Amazon shop too. This way you can reach much wider audience + diversify your risks in the case of your account get banned on one platform etc. Your own eCommerce shop should be your ultimate goal as when you have your own shop, you’re in 100% control and no one can take it away from you. But just to make your life easier now, don’t start all 3 at once! I always recommend setting up eBay first and only then start working on your own shop. Your article is very helpful, I have been researching eBay with a bit now and the discussion boards nearly turned me off my venture but as you said there is 100 happy sellers to one unhappy one. I am looking to start my own business and grow it slowly until I find my feet. I do not want to bite off to much to begin with and end up failing and packing it in. I just want to earn a small amount to begin with and see how I can improve and drive on from there. Basically I will be buying wholesale goods from China and selling at a small profit. The goods I am selling I no allot about and there is not many selling on ebay but the guys selling them shift quiet allot. I have looked at the margins which are low but believe selling at a moderate volume can make me a good living. I was just wondering what is the best way to start off, would I be better to sign up for a business account or work away my normal account I have now. I will only be listing 20 items to begin with. What is the best route to take with fees. Sorry to ask these novice questions but I would love to get information from somebody that actually knows what he is talking about. Any help would be greatly appreciated. You should upgrade your current eBay account (with some feedback already in place hopefully) to business account so you already have an established account. Then you can open a separate account for buying personal stuff. Fees are fees – you just pay them! Not sure what to add here. It’s good that you have done some research already and have a plan in place! Just get going – it can only improve each day goes by! And pay close attention to customer service as that’s the KEY TO SUCCESS in long term on eBay! On eBay you really can’t afford to have un-satisfied customers. Thanks for your advice, regarding the fees sorry I was unclear, I meant as a new seller would I have been better off selling under my current account or registering as a business, I hear there is a few options you can take at the beginning, I hear there are no insertion fees if you are a private seller for a 100 listings a month but is this the case for buy it now items. yes, that’s true – personal accounts have some advantages BUT then again you won’t be able to become a Power Seller or Top Rated Seller, have a shop, GTC listing format etc. etc. So I say you should just go with Business account from day one and start taking into account fees you’ll have to pay on eBay. Hello andrew great blog here. I have reached today the Top Rated Seller status finally after about 5 months. They upgrade the account to Bronze Level – Power Seller and 2 days after the TRS. I think its easy, as long as if any serious ebayer are willing to put some efforts in it. I felt that availability to communicate, faster refunds, quicker replacementz is the answer. But now what, with so much competition on Ebay, How does the TRS helps to boost your sales. I dont know if it does help. Fact is my listings still appear on the bottom of best match while all the other top rated remain top. Ito be honest I see no much different despite being offered 15% off on ebay fees..
Congrats on getting the TRS status, well done! As for a difference – TRS increase your listing positions in search results but that won’t happen over-night. Also, I’m not sure how well it works for previously created listings, it could be worth trying to post some new listings and see how it goes. Lastly, IF you work in a highly competitive niche, with loads of TRS, be prepared to fight for your place in top search results. In competitive markets you want to use GTC listing format, set price very low in the beginning and then gradually increase it as you climb in search results until you reach your target level. This is what most sellers do to get those crazy sales history numbers and first search result positions. does that mean I have to wait 1 more month until the 20th of November to get my trs status? Or do ebay issue trs and power seller on the same evaluation? Thanks for your question, it’s a good one! 2) You get TRS only next month after PS. We have had a good discussion about this on TWF and the conclusion was that it comes down to how eBay plays algorithm each month – in what sequence. Whatever PS statuses are awarded first and then followed by TRS – in which case you get both on same month OR TRS statuses are awarded first and then PS – which means, you don’t get TRS as you are not PS yet. But in most cases, you get both on same month. Why you must to be “business seller” and not normal one? Also which site is better to register? The ebay.ie or ebay.co.uk? 1) Business seller status – this is simply put in eBay rules – you can’t be a TRS if you’re not a business seller. 2) It really doesn’t matter but you should register on regional site which is closest to where you live. (If in UK – .co.uk, if in Ireland – .ie and so on). I have only recently found you on the Internet but the things I have learnt from you are much more practical and valuable. Thank you very much for that. Not sure I’m following you on that one – if you’re making a profit on a £1 item, you should make even more if someone buys a 10 pack from you..?! When you switch to micro payments, you pay just 5p + 5% which on small amounts is less than regular fee of 3.4% + 20p. Lastly, remember that goal here is to get those 100 sales to qualify for TRS and not to make profit. Profit you’ll make once you become a TRS and get improved search positions. To reach the £2000 limit do you have to have been registered as a business seller on ebay for the whole time? For example if I sell £1999 worth of stuff in 90 days, then register as a business seller and sell another £2 worth of stuff and meet all the other requirements will I still get ebay top rated seller status? No, I don’t think you have to be registered as a business the whole time. You can contact eBay to be 100% sure but from what I have seen, it doesn’t matter. Use GTC only when you are TRS OR in niches with small competition when you can easily get new listings on first page of search results. When you’re working towards TRS, do not use anything longer than 5-7 days if you list highly competitive items (there’s no point as your items will get lost in dozens of search result pages). or you’re already a TRS and looking for ways to increase your listing exposure on eBay? Let me know Becky so I can give you more detailed advice. I have been a top rated seller with excellent DSR ratings since the program began which I still maintain. I have no 1 or 2’s with 96 to 98 Percent avearage in detail seller ratings. I used to be on the first page on searches without fail. Sellers from Hong Kong have taken over the first page. I am not able to compete with their prices. I am trying to get trs status, if I sell 100 items for 99p in the health and beauty section via a shop then I sell a car for say £2000 does this count mixing the car category with the health and beauty? Yes, absolutely. Sales can be from various categories. been researchin ebay some time and aware of conflictin opinions whether ebay is place to be now..
most disturbin was attitude of big-hitters to 10 year ebay veterans who had fallen foul of dsr’s …. seemed almost pleased to see medium sized competition banned for minor disgressions …. There’s always two sides of the coin – you can’t get accurate information from places like eBay forums as people usually only go there to post something negative. While you read that negative post from one seller, 100 other sellers at same time are doing ok and making sales. It’s all relative. I have worked with hundreds of eBay sellers and can honestly say – I have never seen eBay ban anyone just like that, for no reason. Usually people are making mistakes, breaching rules or doing prohibited things. Then they get banned and go out on forums bashing eBay. Each to it’s own I guess…. As for new accounts and TRS – yes, with totally new accounts it will take a bit longer but not by much. You can get this 10 listing limit lifted as soon as you make those first 10 sales and receive feedback – eBay acts on this very quickly, you just have to contact them (now there’s a link in your account > request increase). So all you have to do is follow the plan and ask eBay to increase your selling limit once you reach it. Good Luck with the business Rick! im really new to all this IM skills n followin a US guy Jim Cockrum n learnin gr8 stuff ..
lookin to grow email list through ebay,facebook twitter etc n seems fascinatin way to build ur own REAL biz …. appreciate ur thoughts on this …. have asked u in past why u dont sell urself through ebay n u said its not ur style ..
this US guy auctioned 1-on-1 trainin n raised $10,000 n had link in listin to his email list squeeze page ….all legit with ebay …. n grew his email list massively from auction followers …COOL ..
Is it better to list items for 30 days or good until canceled? Items that are good until canceled does not appear as a newly listed item when automatically listed . If I end the item and list after 30 days manually it seems to show on the first page better on a search. I have had a store on eBay for 10 years and my sales have declined at least 60 to 70 percent. I have high DSR rating averaging 98 percent with excellent feedback. I also not able to compete with Hong Kong sellers prices. Great article. I have been working on this and should hit TRS on 20th of this month. Or so I thought so….. Currently my seller dashboard shows that I have hit ALL targets to become TRS on my next evaluation except the fact that I am not yet a bronze power seller. Upon further reading, it shows that I have hit all targets to become bronze power rated seller on the next evaluation on 20th on this month. The confusion I have is, on the 20th I will hit targets for bronze power seller and TRS. Does that mean I will be granted both at the same time or Bronze Powerseller first and then wait another month for TRS? I was really hoping it was this month. Any ideas Andrew??? Usually, it happens on the same month. First, they give you PS upgrade and shortly afterwards, TRS. However, some people have reported that they only get PS one month and TRS status after another month. I personally think it depends on eBay’s system upgrades – whatever they run PS or TRS upgrades first (as you need PS status to even qualify for TRS). Please let me know how it works out in your case. I am a subscriber and have found your advice so far, brilliant, especially the various supplier info, China etc. I have an issue with ebay though, we made silver power seller and TRS within around 4 months, and we always dispatch same day, give refunds whenever there’s a problem, we really have bent over backwards to help buyers and over 700 positives in six months will attest to that, however, we have had 6 low DSR’s relating to postage, and around 90% of our items are FREE P+P ! This has resulted in losing TRS status. Can you please give any additional advice ? Thanks for your comments and I’m glad that I can help you! As for low DSRs for postage – yes, that’s the biggest problem on eBay, you’re not alone, trust me. Do you charge full shipping price? Or half of it? Or a bit more? And what’s your average P&P fee for items you charge shipping for?